Otaviano Canuto, IMF: What Happened to World Trade? Otaviano Canuto, World Bank: Can Services Replace Manufacturing as an Engine for Development? Robert J Shiller: Robotization Without Taxation? Strategic investment funds have emerged as a way of addressing gaps in the infrastructure investment lifecycle. “You know, I imagine a lot of you wanna know why I call the guitar Lucille. WEF: Back to the Basics? Hindsight may offer some comfort and solace from contemporary reality. It is thus that Jacques Delors – aka Mr Euro – concludes that Europe’s much-maligned common currency suffers from a few design flaws. Those imperfections may even have doomed the euro from its inception and lie certainly at the root of the debt crisis that erupted in 2008. Even so, Mr Delors – three-time president of the European Commission – has no regrets other than not giving enough pushback to overly excited politicians who at the time choose to ignore red flags and other warning signs. The euro – Delors’ masterwork in unifying the continent – will ultimately survive. For all the bridges burnt, he sees no way back. When Jacques Delors assumed the presidency of the European Commission in 1985, the then European Community found itself relegated to the doldrums, suffering from what came to be known as eurosclerosis – an affliction not unlike the one presently haunting the continent’s economies whereby lacklustre growth results in high levels of unemployment. In 1985, Mr Delors promptly set out to reinvent European integration and provide the process some new momentum. Within a year he had cajoled or otherwise convinced member states into accepting the Single European Act (1986) which served as the basis for the scaffolding of the much broader Treaty of Maastricht (1992) that foretold the creation of a common currency and changed the community’s name to European Union – a name much better suited to cover the bundling of not just economic forces but of entire nations. 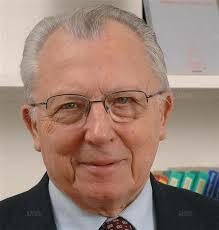 Jacques Delors also laid the groundwork for the EU’s rapid expansion. Austria, Sweden and Finland joined in 1995 while in 2004 ten Eastern European countries were welcomed into the fold. At times controversial and perhaps a tiny bit authoritarian, Mr Delors did succeed in putting Europe back on the agenda. The euro is – if nothing else – a project of a most ambitious nature. As such it is also most admirable. Notwithstanding its flaws, the common currency did help forge a common identity and create bonds, albeit discomforting ones. Mr Delors was one of only a handful of politicians who recognized the fact that Europe’s many and varied headstrong nations are condemned to live with each other in a rather cramped geographical space. Not just that, Mr Delors was found willing and able to pursue policies based on that fact as opposed to the many who engaged in navel-gazing or worse. Should the euro indeed succeed and prosper – as Mr Delors predicts it will – this French politician will have pulled off a unique feat in the economic history of mankind – attempts at introducing and maintaining common currencies have never before met with lasting success. © 2018 Copyright CFI.co - Capital Finance International. All Rights reserved.